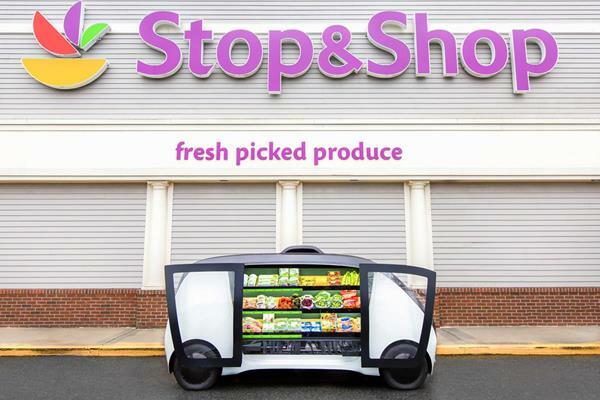 Today, Stop & Shop announced that it will launch driverless grocery vehicles in the Greater Boston area beginning in Spring 2019. The vehicles will bring a selection of Stop & Shop produce as well as meal kits and convenience items directly to consumers, so they can shop right at their doorsteps. Part of an engagement with San Francisco-based startup Robomart, the vehicles will address consumers’ desires to select their own fresh produce when shopping via online or mobile and will deliver an even more convenient grocery shopping experience for Stop & Shop customers in the Boston area. The engagement will also offer the potential for Stop & Shop to expand beyond its existing brick-and-mortar footprint.